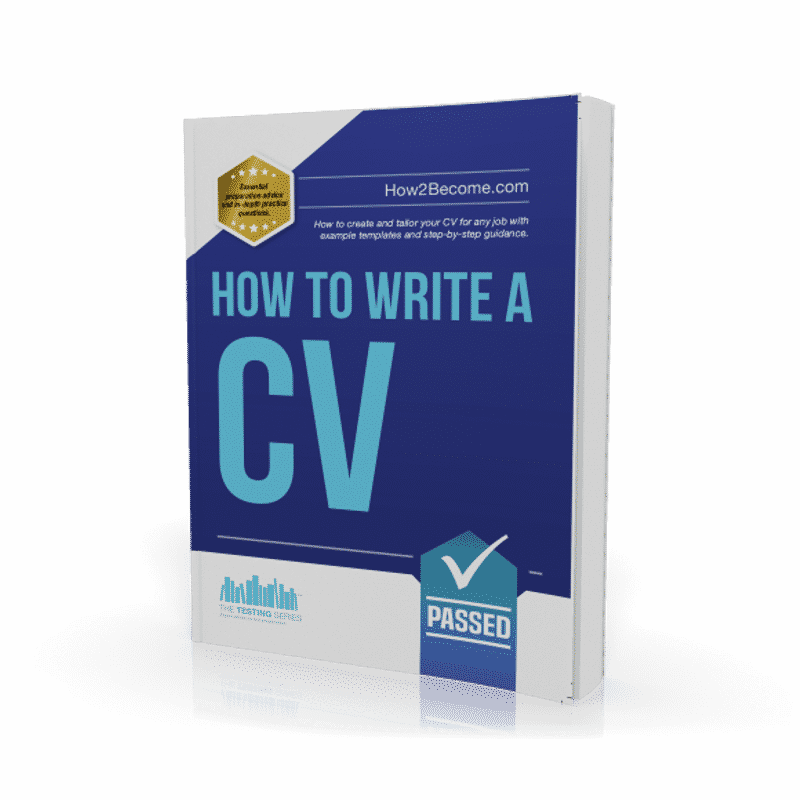 The following CV writing skills book will teach you how to create an effective CV. Most employers nowadays will ask to see a copy of your CV before considering you for an interview. 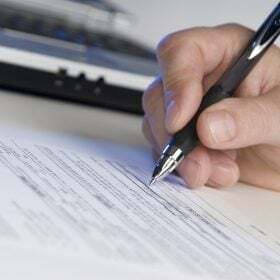 Whilst many people will have a copy of their CV on their computer desktop or tucked away in their top drawer, the vast number of CVs created will not get the applicant an interview. The word CV is short for Curriculum Vitae and it is a document that contains a summary of a person’s suitability for a specific post. It should be designed as a tool for obtaining an interview or assessment with your chosen employer. We would suggest that a massive 95% of people create one CV before distributing it to a swathe of employers – this is their first mistake. 1. The first reason is that employer has to sift through many applications and CVs after they advertise a post. It is unrealistic to expect them to respond to every single person. In addition to this it can also be costly and time-consuming to respond to every job applicant to simply tell them they have been unsuccessful. I totally agree with people when they say it is bad manners not to respond to an applicant; however, this is the world we live in and we to do everything in our power to make sure your CV gets noticed. 2. The second reason is because 95% of job applicants submit a ‘generic’ CV. I advertised a post recently with How2Become for a Sales Administrator. I was overwhelmed by the number of applicants and CVs I received. Although the position was only part-time and minimum wage salary, I received over one hundred CVs! The vast amount of CVs were either irrelevant for the post or it was immediately clear to me that the job seeker had not even read the job advertisement. I figured to myself, why would anyone living in Ramsgate want to apply for a job that was 72 miles away that offered only 3 hours’ work a day and a salary starting out on minimum wage? It would actually cost them to come to work! Now I am not suggesting for one minute that a person who lives so far away would not be able to carry out a good job for me, but I can guarantee that person would become highly de-motivated due to the travelling time very quickly and would therefore leave the position. When creating a CV you have to think carefully about the job you are applying for and also the qualities the employer is seeking. 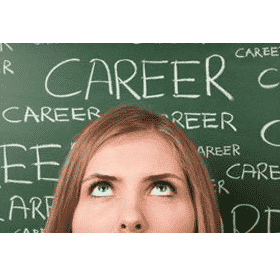 You then need to create a brief CV that immediately identifies to the person reading it that you have the skills and qualities required to carry out the role. 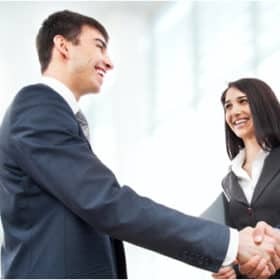 If you do this, you will get an interview. This role requires the ability to support our Director running a small company which specialises in new projects and initiatives for housing in Manchester and Lancashire. Duties include liaising with key stakeholders such as various landowners, Housing Associations and Local Authorities. The successful candidate will possess excellent written and spoken English and be able to deal with presentations using Powerpoint, Word and Excel. Must be able to set up and maintain records and use database systems. Initiative is required for this position as ‘task management’ will be a primary area of the role. The successful candidate will have a minimum 60 WPM typing speed and short hand would be a an advantage. Small office environment which includes 2-3 members of staff. An ability to task/project manage. Excellent communication and liaison skills. Competent use of Microsoft packages including excel, Powerpoint and word. Desirable shorthand skills and a minimum typing speed of 60 words per minute. 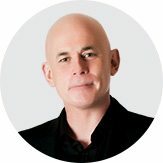 An ability to work as part of a small team. Excellent organisational skills and an ability to use databases. The key to creating an effective CV is to now build your CV around the above key requirements for the role. Admittedly, this can be extremely time consuming and laborious, especially f you are applying for numerous positions with different companies. My advice would be to concentrate on applying for a handful of jobs at any one time. This will allow you to create a CV that has every chance of getting through the initial application/sift stage. Let’s assume that the person who is advertising the above post received 50 applicants. They come to your CV and see that it is concise, easy to read and matches the key areas that are required in the job description. The chances are you will get short-listed, simply due to the fact that the key skills you have listed in your CV match the requirements to of the role. A hard-working, organised and conscientious team-player who can be relied upon to carry out all tasks in a timely and efficient manner. I have tremendous experience in task management and I am competent in the use of Powerpoint, Microsoft Word, Excel and database systems. I have experience of delivering effective presentations and can work with different agencies following a set brief. Excellent written and verbal communication skills with typing skills or 65 WPM. The above CV is concise, neat, well-written and provide details of the skills required for the job I am applying for. You will notice that I have created the CV with the job description in mind. I have also utilised keywords and phrases from the job description when carrying out the CV writing exercise. Take the time to read the job description for the position you are applying for very carefully. Gain an understanding of the position you have applied for and read the key skills and qualities required in the role. I also recommend that you use a highlighter pen to highlight the key areas of the job before you write your CV. Create your CV now more than two sides in length. It should be concise, easy to read and free from waffle or irrelevance. At the beginning of your CV you should create an introductory statement that says a little bit about you, what your experiences are and what you have to offer this particular post. This will immediately tell the person reading it that you are serious about their job. It will also demonstrate that you are not a ‘serial’ applicant who is only interested in getting a job, regardless of which company it is with. Insert keywords and phrases from the job description in your CV. The person reading your CV will pick up on these straight away and it will help them to identify that you should be short-listed for interview. If you want to know how to create a CV that is guaranteed to get you through to the next stage then the Ultimate CV book is the only resource you need. The book teaches you how to create a CV that stands out from the competition. As you know from the information provided on this webpage, your CV is your tool to helping you get past the initial short-listing stage. Because there will be many applicants for the job, especially in today’s climate, it is essential that you CV is relevant and appropriate for the job you have applied for.